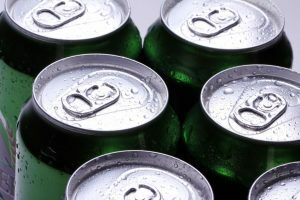 Tropical Bottling Company can provide expert canning and beverage packaging services for beverage makers throughout the United States. We are firm believers that a successful product not only tastes great, but looks great, too. That’s why we provide our clients with the beverage packaging services they need to help their products stand out from the rest. We are experts at safely and efficiently canning ready-to-drink (RTD) beverages, and our facility is fully-equipped with all of the tools needed to complete your tea, flavored water, energy drink, flavored coffee, sparkling juice or carbonated beverage production. Our capabilities are vast and include cold fill, hot and cold fill pasteurization, reverse osmosis water treatment, HTST canning, and more. In addition, our beverage packaging services can help you get your products ready for store shelves. Canning – We offer a wide range of can sizes, from 7.4 oz to 16 oz, in sleek, regular and specialty cans. Labeling – Tropical Bottling Company is glad to provide in-house or 3rd party labeling options to beverage startups and established brands alike. Labeling is a much more effective option than investing in pre-printed cans, and by opting for a label, you can have vivid graphics that help your brand get noticed. Palletizing – Unlike most other copacking companies, we provide our clients with custom palletizing to better meet their unique needs. Choose custom quantity options, flavor combinations and more. Better still, since we are close to the ports, we are an ideal export partner that can help you eliminate the need for double handling. Tropical Bottling Company is staffed with true industry experts who can help guide you in choosing the best packaging options for your needs. If you are looking for tea, flavored water, nectar, or carbonated beverage production in Florida, Georgia, Alabama, Mississippi, Louisiana or elsewhere throughout the USA, contact Tropical Bottling Company today and see why more and more beverage makers are choosing us at their canning and beverage packaging partner. We look forward to serving you!